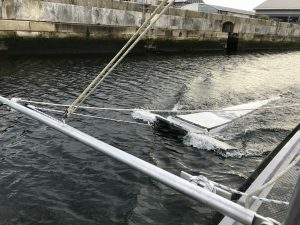 Sampling for microplastics on the Thames and Medway. Microplastics are small pieces of plastic less than 5mm (nanoplastics are 50µm-5mm) including of ‘nurdles’ (preproduction plastic pellets), ‘biobeads’ (nurdle size beads used in sewage treatment), microbeads and microfibers. The plastics come from a range of sources; cosmetics, sanitary items, clothing and road run off. 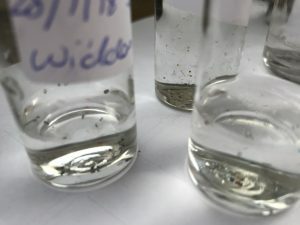 Exxpedition Round Britain 2017 carried out one trawl and found over 100 microbeads in the sample, a significant order higher than they found elsewhere. ZSL are currently monitoring spawning locations of fish species, the smelt, in the upper tidal river and are providing samples to Royal Holloway to discover the content of micro plastics. There has been no strategic or temporal study of microbeads on the Thames or Medway Estuaries. However with the ban coming in 2018 presents a key point to start to monitor the improvement such interventions make on the environment. Specific sites will be given to confirmed attendees, timings are for planning purposes. Weather may cause surveying to be cancelled. Samples and analyse of the 2018 samples is currently underway. Dates are below for the first part of the year, sign up now to join us. Training will be held on one of the Medway dates each month, the morning of the 4th May and 2nd June. *some destinations are not the same as the start point as we work our way down the estuary. We are great full for all our supporters, funders and volunteers that make this project possible.